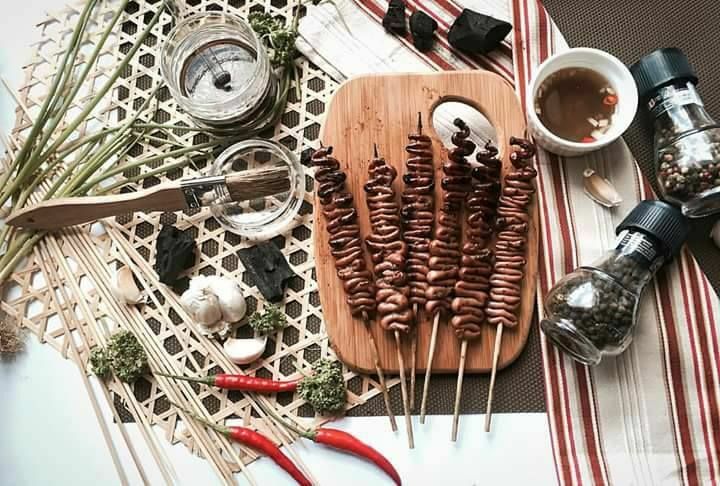 Foodtrip Finds: Pickup Sticks opens at Pioneer Centre! When it comes to Filipino food, one of the things that comes to mind is how Filipinos are capable of making almost everything taste great! We're very practical and resourceful. You name it, almost every part we can manage to create a great dish out of it. One of my favorite grilled street food is chicken and pork isaw (intestines). To others, the idea of eating street food isn't as enticing since you don't even know where it came from or if it's safe to begin with. I even remembered sneaking out with my cousin at night just to eat some of those since she's not allowed to eat street foods by her parents. I can't blame her though, who couldn't resist those chewy flamed grilled cholesterol induced goodness? Right?